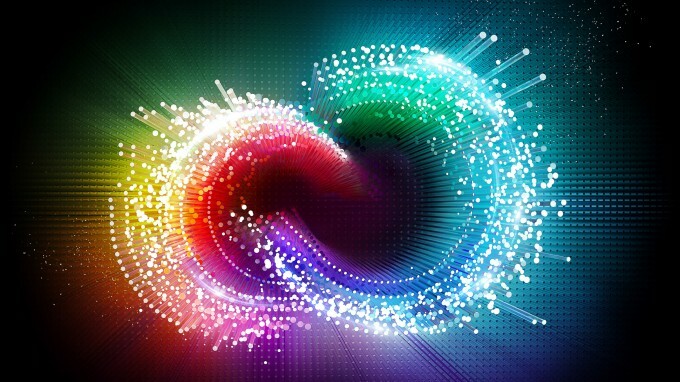 Adobe’s last major update to its Creative Cloud platform might have dropped just a couple of months ago, but as is now obvious, the company didn’t want to take longer than it had to, to get another out the door. Despite the short timeframe, there’s a lot of cool stuff in this update (especially if you’re an iOS user), so let’s get to checking it out. Adobe released a substantial update to its Creative Cloud platform back in June, and I don’t think anyone would blame you if you thought we wouldn’t see another update like that until the new year. Yes, here we are a mere three months later with another huge update that happens to coincide with Adobe’s MAX conference in Los Angeles. At MAX, Adobe will go into great detail about all that this Creative Cloud update brings to the table, but there are a couple of major features that will no doubt steal much of the limelight. I’m going to prove this by talking about a couple of smaller (if you can call them that) features now, and then dive right into the cooler stuff. One of the biggest things Adobe wants to highlight about its CC update is just how well it can manage, and store, your creative work. Your profile today can include not only your images and files, but also brushes, fonts, and color palettes. As many of you are well-aware, I’m sure, everything in this repository can be accessed either from the desktop, the Web, or on mobile. In this update, Photoshop’s Mercury engine has seen a performance boost, and 3D printing profiles have been added. 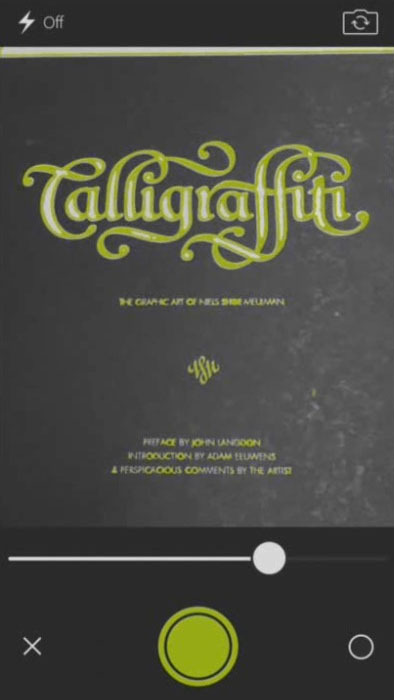 Meanwhile, Illustrator gains a Curvature tool and InDesign, EPUB interactivity. On the video side, After Effects has been gifted an improved 3D pipeline, and Premiere Pro now features search bins. 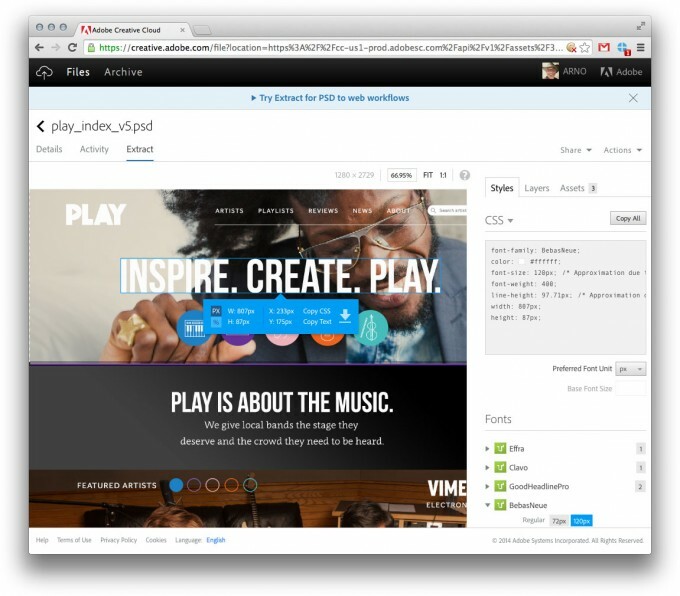 For Web developers, Dreamweaver’s expanded Live View should prove useful. 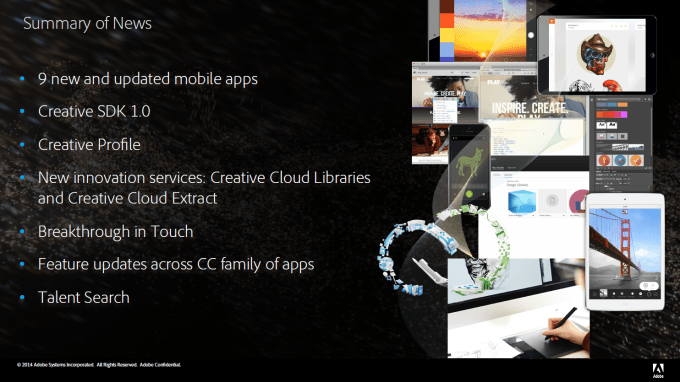 Announced back in June alongside the last big update, Creative SDK promised to be a great solution for third-parties to tap into Adobe’s technologies to build Creative Cloud-connected apps of their own. Up until this point, the SDK has been in a private beta, but today’s update makes it public with 1.0 versioning. Touch has been a major focus of Adobe’s lately, so it’s not surprising to see some updates relating to that here. 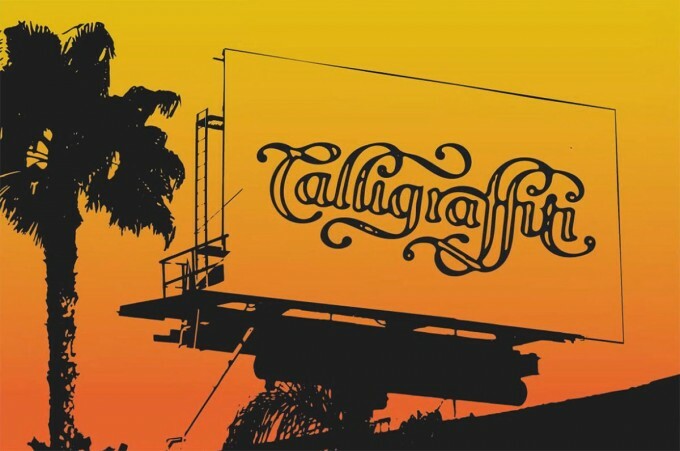 In addition to enhancements given to the touch interfaces of Photoshop, Premiere Pro and After Effects, Illustrator has just been overhauled to better complement touch users. I should note that these touch interfaces refer to the full-blown apps on touch-enabled devices, such as the Surface Pro, and not the mobile versions of each app. 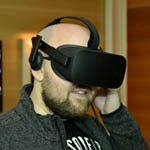 What you can expect to see is improved gesture-control and pressure sensitivity, as well as larger UI elements that are not so challenging to touch with a finger. Finally, Adobe’s Behance service has been dramatically improved to include talent search, and with over 4 million users, that could prove extremely useful to anyone looking to have specific work done. The goal here is to make resumes pretty-much irrelevant, because a resume doesn’t actually show you what an artist is capable of. And, because it’d be tough to sort through 4 million artists, Adobe’s integrating an advanced search that will let people search based on many different variables. Plus, if you find an artist that exhibits a style you like, but they’re either booked up or not a perfect fit for some reason, Behance will show you similar artists to avoid your search hitting a roadblock. As you can no doubt tell by now, this is a pretty massive update given the mere three-month gap since the last one. But, this just touches on the surface, so now we’ll take some time to look over the biggest – and coolest – features. Being that Adobe’s CC revolves around the cloud, the company has released a number of updates in the past that have helped tie its apps together better. With this latest update, though, things are truly taken a step further. With Libraries, you have access to a toolbox full of your assets that’s accessible to multiple Adobe applications. Take this, for example: You just created a cool icon in Illustrator, and now need to add it to your project PSD. After dragging and dropping that icon over to whichever library you created for that project, you can move on over to Photoshop and fetch it right away. This mechanic can save an enormous amount of time, because instead of having to save certain layers as their own files, you can simply drag that asset over to your library and be done with it. I’m sure it’ll come as no surprise that Libraries will have a mobile counterpart, but what you might be surprised by is a cool feature hidden within its menus. 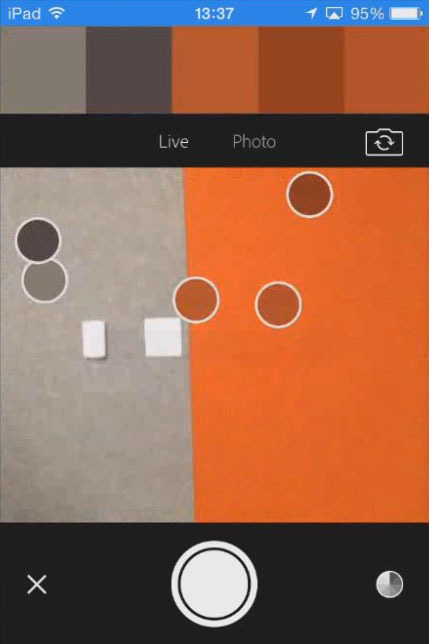 If you’re working on a project and suddenly become inspired by the colors around you, you can load up your camera from with in the Libraries app and effectively import them. Given how cool that is, I wouldn’t blame you if you guessed that the time of 13:37 at the top of the screen was on purpose, but, it’s actually a humorous coincidence. At the time this demo was being shown, it was in fact 13:37 local time (in California, where the live demo was sourced). That’s what I call good timing. Back to the matter at hand: As helpful as Libraries is, it’s not a feature that “wowed” me. 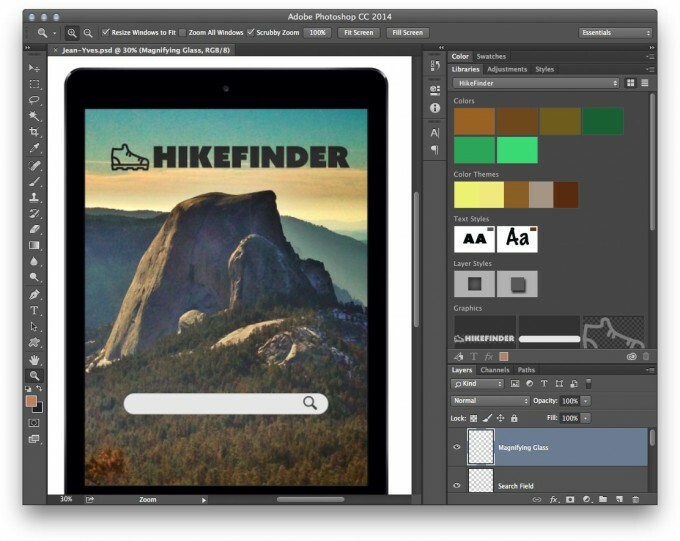 It’s expected evolution, given that Adobe’s ultimate goal is to have its apps work in unison. What does “wow” me is the new Extract feature, one that allows you export whichever project assets you want to your personal Adobe Cloud for access through a Web browser. What you see here is an entire PSD file opened up inside of a browser via the Extract feature. The representation of the file is perfect, which is extremely important given the folks who would take best advantage of Extract: Web developers. When a PSD file is viewed through the Extract feature, all of its individual elements can be clicked on, either to grab an asset for use in an external program, or to view some key information. In this particular example, a font layer is clicked to reveal CSS code that a Web developer could directly implement into their page; and, if that person doesn’t have access to the required font, it too can be downloaded from the bottom-right corner. Of all the features introduced in this CC update, the Adobe Shape mobile app may impress me the most. Available for iOS (and Android in the near-future), Shape lets you scan the environment with your camera to single-out shapes, and once the yellow outline matches what you’re looking to extract, a mere click of the button will turn anything gathered into a vectorized image. From there, you can delete what you don’t want from the scene, and then you’ll be left with a file you can adjust to your heart’s content in Illustrator. 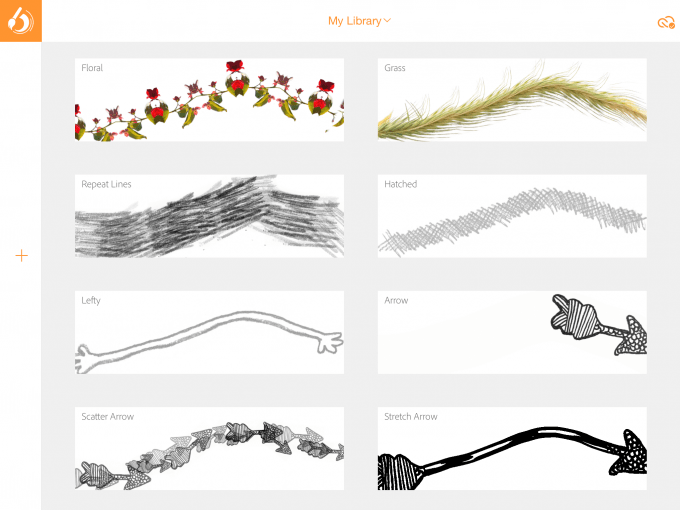 What Adobe Shape does for vectors, Adobe Brush does for… well, brushes. With this app, you can use your device’s (still iOS-exclusive for now) camera to capture an object and then turn it into a brush. For this to work ideally, you’d draw your brush on a clean piece of paper, but you don’t have to if your goal is simply to have fun. In one example shown, a person was turned into a brush. Once your brush is imported into the app, you can specify where it begins and ends, and it will automatically create a brush that will perfectly flow on the digital paper as you swipe it across. Like typical brushes, the strokes will become darker if you keep applying them to the same spot on your digital canvas. 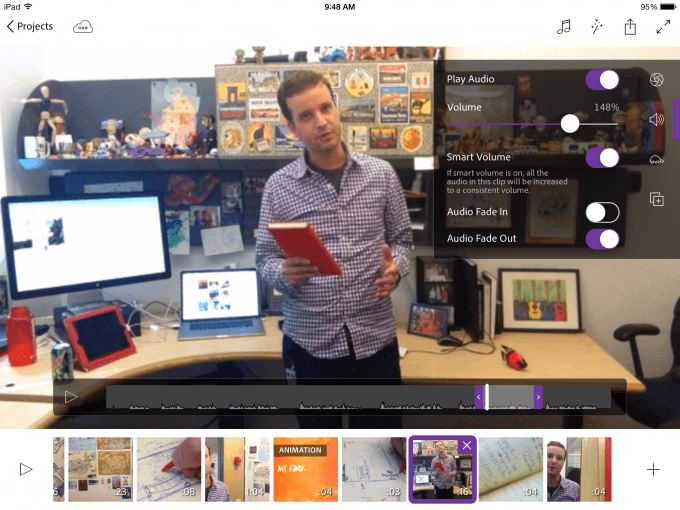 Alongside Shape and Brush, Premiere Clip is another brand-new mobile app, and as its name no doubt gives away, its purpose in life is helping you manage your video clips while on-the-go. 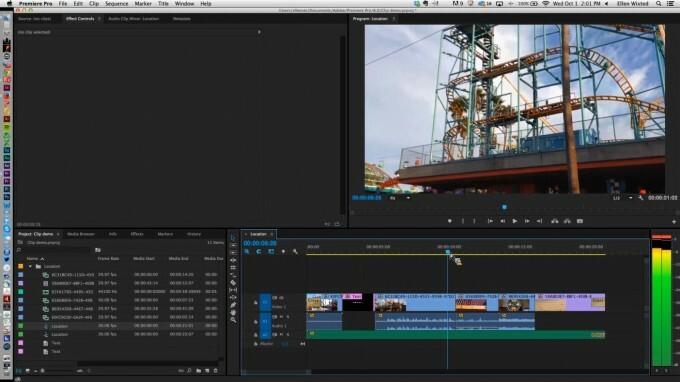 I wouldn’t blame you if you thought that this app was used only to create quick projects for uploading to YouTube, but in actuality, it’s a robust editor that allows you to export the entire project into the full-fledged Premiere Pro for further editing. In addition to having access to important video features like trim and a timeline, you’ll also be able to take advantage of royalty-free soundtracks. Further, if you dub any soundtrack over your video, you can take advantage of the Auto Mix feature which will automatically reduce the volume of the soundtrack if someone is speaking in the scene. Normally, you’d have to do this manually, and it goes without saying, that’s tedious. I’m not a fan of editing anything on mobile that can’t be fine-tuned on the desktop, so that definitely makes Premiere Clip intriguing to me. Like the other apps, this one is iOS exclusive for now. When Adobe first told me that there were some cool Creative Cloud updates coming this week, I admit I didn’t realize that there’d be quite so many. Without a doubt, this is an impressive update pack, and while I think Shape might be my favorite feature added here, many of the other features are down-right useful – like Libraries and Extract. 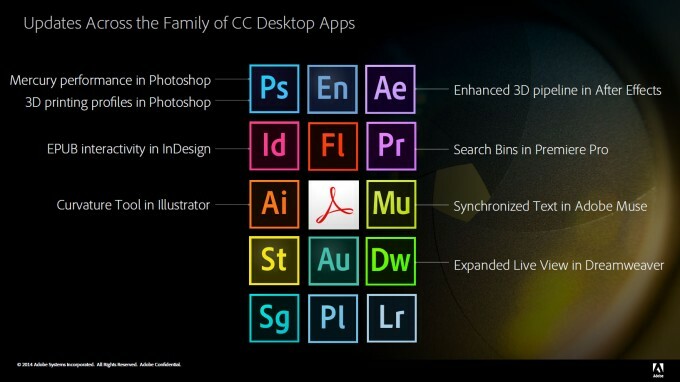 Fortunately, Adobe’s not teasing these features today just to let you go a while before you can take advantage of them. By the time you read this, the update should be reflected from within the Creative Cloud app, ready for your download. Whereas the June update actually installed brand-new versions of many applications, this update will simply patches those. Now if you’ll excuse me, I’m going to go mope over the fact that Shape isn’t available for Android (yet…).